There are 6 key areas that are scientifically link to how (romantically|platonically) attract(ed|ive) we are to people. Studies show that symmetrical faces are more attractive than asymmetrical faces. There is an ideal shoulder-waist ratio for men, and waist-hips ratio for women. Where arousal means a change in body state, some kind of 'activation', not necessarily sexual. Being aroused when interacting with someone is automatically associated as a positive with that person, regardless of the causality. 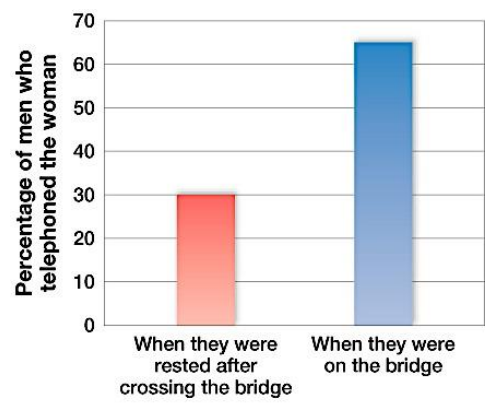 Dutton & Aron (1974) studied people walking across a bridge. A research assistant would ask people if they'd like to participate in a study; some during the walk and some after resting. She would ask them questions and then give them her phone number if they wanted to discuss it. The group talked to during the walk were twice as likely to call her. 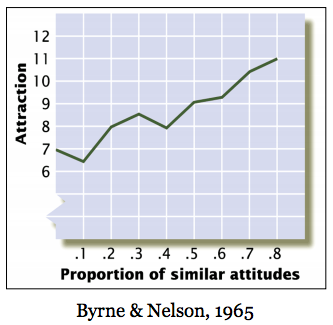 Related to attractiveness, Feingold in 1988 determined that people are more likely to end up in a relationship with someone of a similar level of attractiveness. 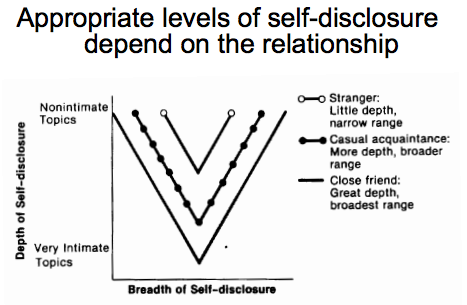 Berscheid et al in 1971 also determined the above, that people avoid people who are "out of their league". Seeing someone often makes us more inclined to like them. The mere exposure effect (Zajonc, 1968) shows that we like a familiar object (with no negative associations) significantly more than an unfamiliar object. Unfamiliar objects are potentially dangerous, and we expect a negative reaction. Hence this must be extinguished by encountering the object in a neutral->positive environment before it actually has a neutral rating. We associate how we feel with the person we are with, regardless of causality. Hence being in a situation with familiar scents, good weather, laughter and background music will make us inclined to like the person we are with. Relationships cannot develop without the sharing of information. However this sharing must be balanced; there are optimal levels of information to divulge, depending on the depth of the relationship. 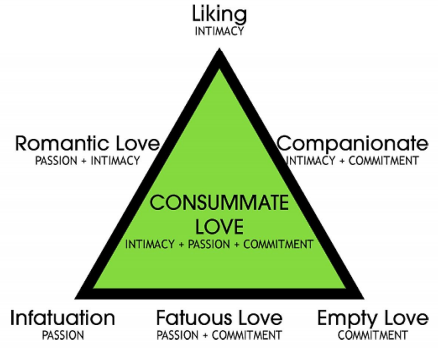 With these he forms 8 types of relationships, with the ideal one being the combination of all 3 kinds.